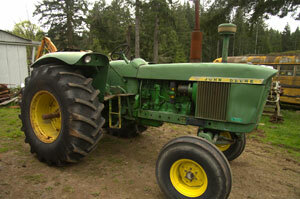 Featured in this frame is a 1967 model John Deere 4020. According to tractor data records this was a very popular tractor with a production run from 1964 to 1972 during which nearly 185,000 of these tractors were made. Although Gas and LPGAS modelers were offered over 90% of the sales had diesel engines in them. Likewise most of the tractors made were 'row crops' though a few 'high crops' and about 10% 'standard' models were made. I believe this is probably a 'standard' model due to the presence of the optional 23.1-30 rear tires which put the tractors a little closer to the ground and gave them a bigger foot print for reduced ground pressure, and better traction for heavy pulling. 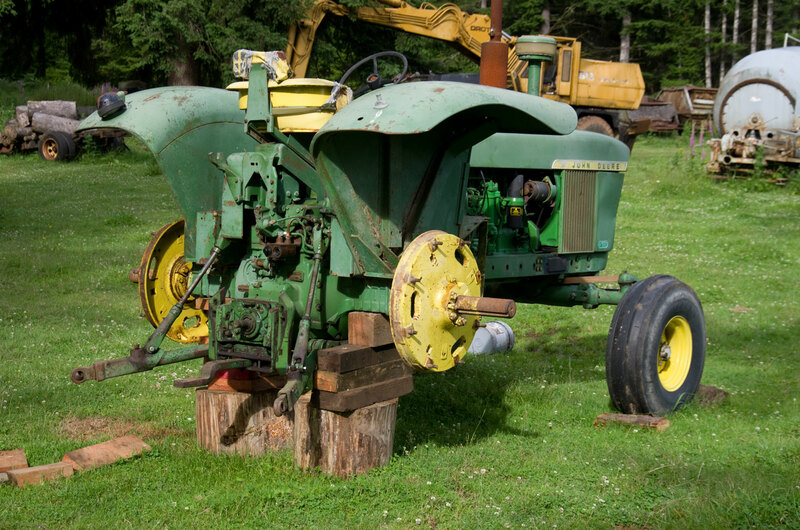 This tractor has quite a few varieties, and the engine went through a number of upgrades and modifications during the long production run. The basic HP rating for this model was 95 hp. Models came with either a power shift or a 'syncro-range' (manual) transmission. As I write this 40 years later the power shift transmission is not the choice. Parts are no longer available, and if there were the costs of repair are more than the value of the tractor. By contrast the syncro-range transmission is well regarded. 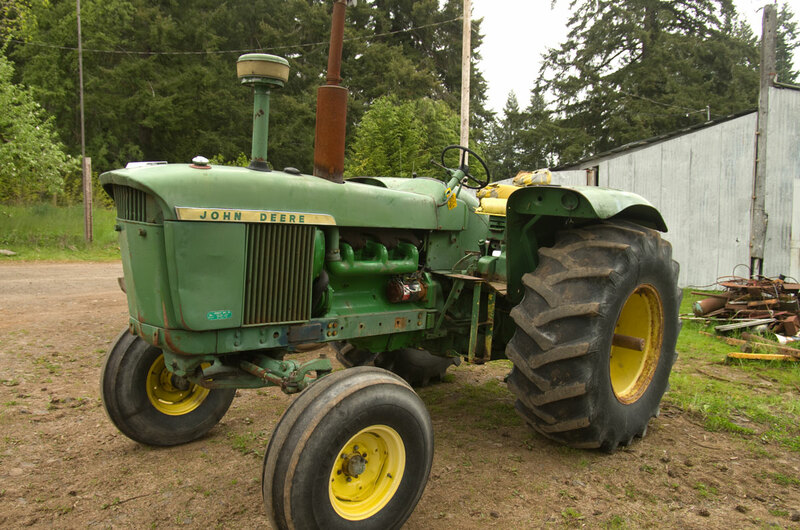 While the 4020 at 185,000 was not as big a selling model as the Classic 2 cylinder Model A, B, or D it also was only sold for a decade. The Model D was sold in various renditions from 1925 to 1952, and the Models A, and B which sold around 300,000 each were sold over 17 years from 1935 to 1952. 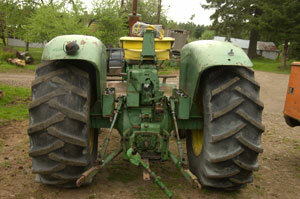 Due to the unusual size, new tires were not readily available. 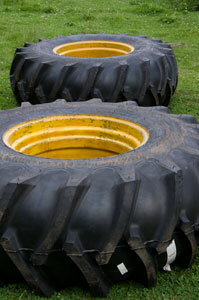 It took a nationwide hunt and about 6 weeks to round up a pair of new rear tires. 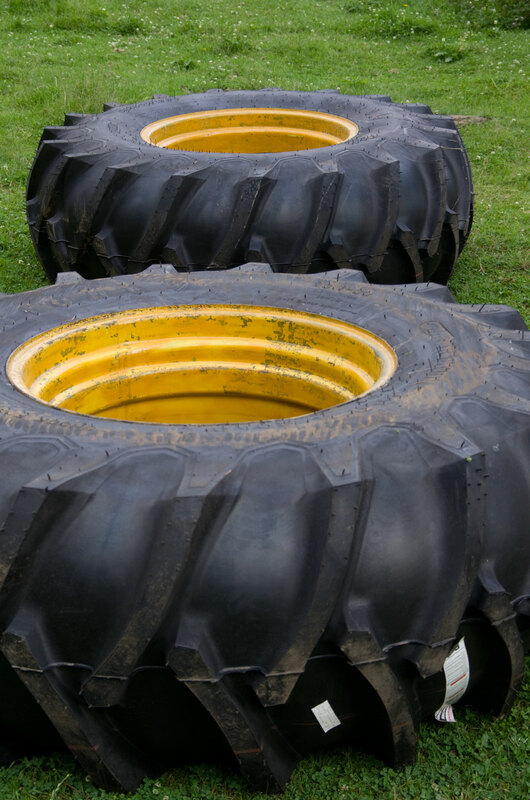 A pair of Firestones was located in the Midwest.